How Do I Pick A Ride? Club-led rides are one of the things that the White Clay Bicycle Club is known for. 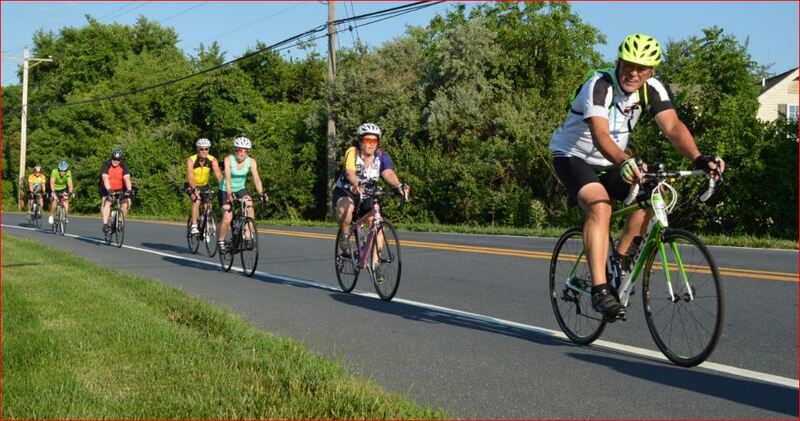 Last year our Club trained Ride Leaders led more than 600 rides. In 2017 thirty-seven of the Club’s Ride Leaders led a minimum of eight rides during the year. Those 37 Ride Leaders were credited with leading or co-leading a total of 1,086 groups of riders. The top 10 Ride Leaders alone were credited with between 42-60 rides during the year totaling 483 rides, nearly half of the 1,086 rides. Since the majority of our led rides fall between the beginning of April and the end of September, that’s an average of about 20-30 Club-led rides per week. We want to continue to offer rides for Club members as well as members of the public who may at some point become members of the Club because of the Club-led rides. Rides for all levels, from various locations, on various days throughout the week. In order to do this, we need ride leaders. We need new ride leaders – like you. For the Club to continue to offer these rides we need new ride leaders to fill in for those ride leaders that have moved out of the area and/or who have cut back on leading rides for one reason or another. It happens to all of us. We take on a project that ties us up for the summer, or we have health issues that keep us off the bike, or have a year when we do a lot of traveling, or even set the bike aside to take on a new hobby. We need you to help fill in for those ride leaders that have stepped aside. If you are a member of WCBC and attend a Ride Leader Training session that is presented by the Club’s Ride Captain, then you can lead your own rides. Becoming a Ride Leader is a multi-step process though. First you take the Ride Leader Training and then find an experienced Ride Leader to ride with, learning from her/him until you have gained enough experience and confidence to post and lead your own rides. We do not expect or even want you to take the training and then start posting rides the next day. The training provides you with the basics and the classroom knowledge, but that needs to be followed up with the practical on-the-bike experience needed to lead a group safely. Rider safety. That is one of the reasons that we lead rides. There is safety in numbers. Safety in that we are more visible to the distracted motoring public when in a group of brightly colored cyclists riding along the side of the road. Safety in that if a rider were to crash or have a mechanical problem, the group would be there to render aid or assistance. We all want to come back safely from our rides and the WCBC Ride Leaders help to make that happen. If you have any questions about being a Ride Leader, responsibilities, commitment, etc. please discuss with the Ride Leader that you do most of your rides with or Carol Basset (rides@whiteclaybicycleclub.org) or myself (president@whiteclaybicycleclub.org). I hope to see you leading rides in the near future! I have been involved with the WCBC since 2007, a member since 2011, and a more active member beginning in 2013. During that time, I have thoroughly enjoyed my years of involvement as a rider, a member, a Ride Leader, an Event Coordinator and Volunteer, and a member of the Executive Committee as Ride Captain, Vice President and President. I've organized weekday and weekend rides including the multi-level Tuesday/Thursday group rides in Bear and the MS Training Rides out of People’s Plaza which can draw 50-75 or more riders on a given day. I’ve remained an involved member of the Club not only because I enjoy cycling, but because I enjoy the time I get to spend with all of you. And I want to do everything that I can to make your riding experience one that you look forward to each day. ← Let’s Not Blow This Out of Proportion!